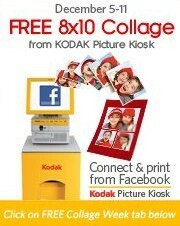 FREE 8x10 Photo Collage at CVS + Other Stores! NOTE: It says it's a Facebook collage. Connect and print from Facebook photos. Not sure how that works, or if you can only use it that way.